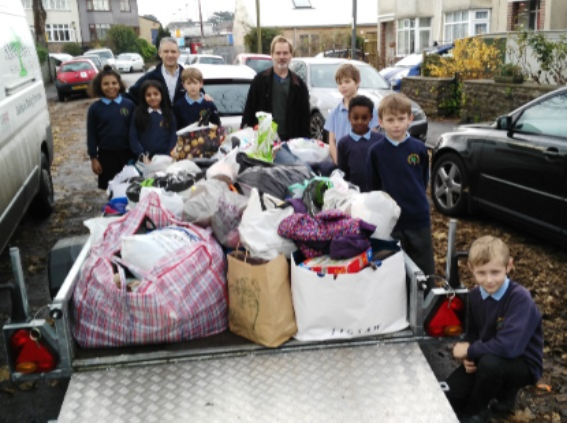 On Wednesday 7 December, a trailer full of donations was taken to the Malcom X Centre in St Paul's and given to the Bristol Refugee Rights project. The donations were brought into school on Children in Need day, after our Pupil Parliament had elected to support a local cause. Donations included non-perishable food items, clothes and toys. The charity was really grateful for the donations and wanted to pass on their thanks to all the community at Sefton Park for their generosity. The Junior school children had an assembly with a representative of Bristol Refugee Rights who outlined where the donations would go and who they would help.